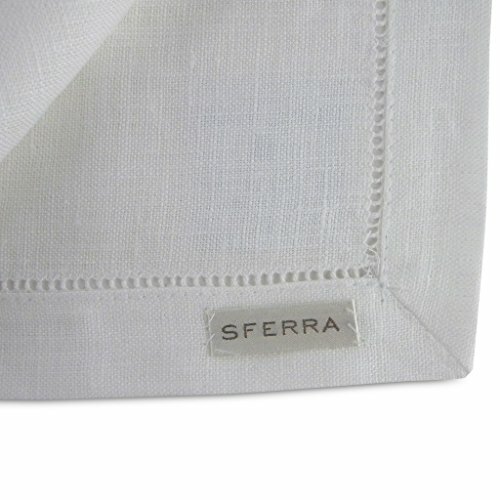 Sferra's European-woven Festival table linens are made of 100% pure Linen and finished with a beautiful hand-thread-drawn hemstitching and crisp mitered corners for a classic style that will compliment any table setting. Care Instructions: Machine wash in cold water on gentle cycle. Do not use bleach (bleaching can weaken fabric & cause yellowing). Do not use fabric softener. Wash dark colors separately. Do not wring. Line dry or tumble dry on low heat. Remove while still damp. Steam iron on "linen" setting. Sferra's Festival Table Linens are finished with a beautiful hand-thread-drawn hemstitching and crisp mitered corners for a classic style. Made of 100% pure Linen in Lithuania. If you have any questions about this product by Sferra, contact us by completing and submitting the form below. If you are looking for a specif part number, please include it with your message.